Dried pineapple, mango, apricots, cherries, cranberries. 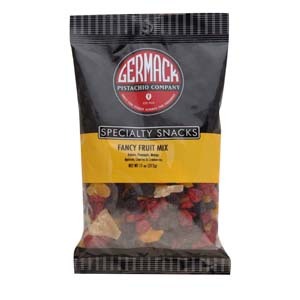 This popular dried fruit mix is a healthy combination of tropical and sweet fruit flavors. Perfect all-fruit trail mix. For those with food sensitivity: the pineapple, mango and apricots contain sulfur dioxide to preserve color while the cherries and cranberries contain a small amount of added sugar.